Samplesound return with an evolution of their highly rated West Percussion Series, this is West Percussion Vol 2. Samplesound West Percussion Vol.2 is loaded with 180 premium quality percussion loops as well as 3 construction kits. 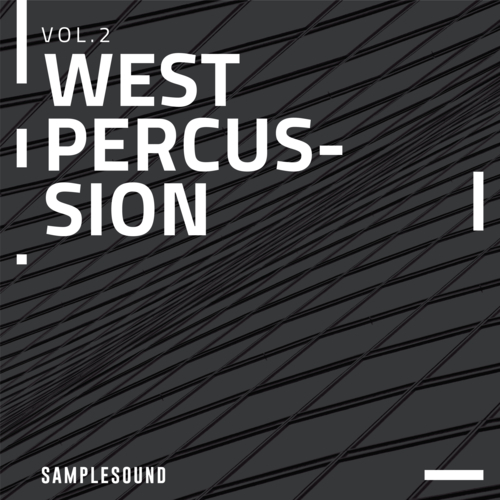 Samplesound West Percussion Vol.2 is designed and tested by Samplesound’s extensive team of international sound engineers, producers and DJ’s – all samples are formatted at Wav 44100hz 24bit as standard. The pack would fit into the release style of labels like Crosstown Rebel, Sol Selectas, MoBlack records, Keinenmusik and a number of other renowned labels.